LSM Racing Products specialty engine tools ensure maximum performance at the track and in the shop. Check out the Recently Listed Feeler Gauge Handles. Pit Stop USA is The Online Motorsports Superstore! We feature Feeler Gauges at low everyday prices. Pit Stop USA is The Online Motorsports Superstore! We feature Valve Lash Wrenches at low everyday prices. Pit Stop USA is The Online Motorsports Superstore! 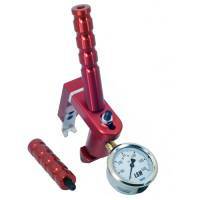 We feature Valve Seat Pressure Testers at low everyday prices. Pit Stop USA is The Online Motorsports Superstore! 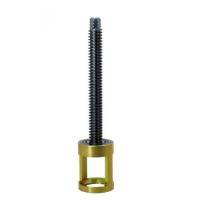 We feature Valve Spring Compressors at low everyday prices. Check out the Recently Listed Valve Spring Compressors. Check out the Recently Listed Valve Spring Tester Components. Pit Stop USA is The Online Motorsports Superstore! 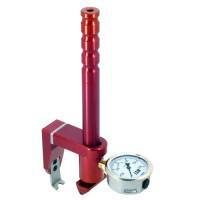 We feature Valve Spring Testers at low everyday prices. Check out the Recently Listed Wrenches. Pit Stop USA is The Online Motorsports Superstore! LSM Racing Products specialize in innovative specialty tools that ensure maximum performance at the track and in the shop. 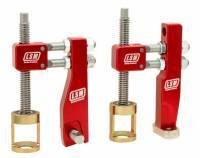 Logan Smith Machine, Co. line of high performance valve train products include LSM valve spring testers, LSM valve spring compressors, LSM valve spring testers, LSM Valve lash adjusting torque wrenches and LSM Billet dual feeler gauge holders. LSM Racing Products developed the standard for changing valve springs with their innovative designs. The LSM Valve Spring Removal Tools are simply the best quality and easiest to use. It makes changing valve springs a fast and simple one man job and are available for most popular cylinder heads. LSM Racing Products makes every effort to stay current with the latest designs from the rocker manufacturers however rocker designs may change. LSM Valve Seat Pressure Tester is an on-head, adjustable Pressure Tester that works with popular shaft style and stud mount roller rocker systems. Includes a 600 PSI liquid-filled gauge and a special shim kit which enables adjustment to within .050" of rocker arm pivot length. 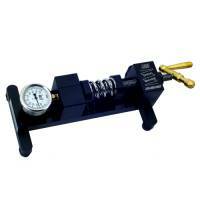 LSM aSpring Machinea Bench Top Valve Spring Tester accurately and easily measures valve spring pressure. Compress the spring to the specified installed height, lock down the stop, and read the gauge. Horizontal design provides exceptional stability. 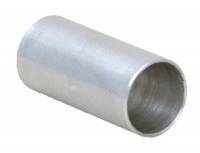 Includes gauge with 0 to 1,000 PSI range. LSM Valve Lash Adjusting Torque Wrench set valve lash and properly torque adjusters. Cuts lash adjustment time in half. 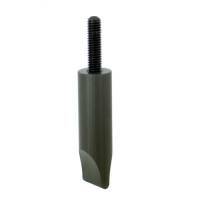 Eliminates rounded-off Allen wrenches and damaged adjusters. Set includes 1/2"-3/16", 7/16"-5/32" and 7/16"-18 Allen wrenches. 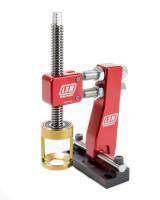 LSM Dual Feeler Gauge Holder is ideal when setting intake and exhaust valve clearance. LSM Dual Feeler Gauge Holders secure two sets of 1/2" wide feeler gauges on a single handle and available in red, black and blue. We feature LSM Racing Products at low everyday prices!